3DKUBE™ Preload 3D Insert™ provides a perfusion 3D cell culture scaffold-plus-plasticware combination. Porous 3D Insert™ scaffolds are preloaded into 3DKUBE™ 3D Cell Culture Plasticware in Independent Chambers configuration. Users need only to add cells using the provided perfusion seeding protocol. 3DKUBE™ Preloads are packaged in a convenient pouch with peel-away Tyvek® seal and are gamma irradiated. Each 3D Insert™ PS scaffold is a disk of 5 mm diameter and 1.8 mm in height. Four scaffolds are loaded into each 3DKUBE™ chamber. Scaffolds are made from tissue-culture grade polystyrene, a transparent non-degradable polymer, which has been plasma-treated to enhance cell attachment. Scaffolds are microfabricated and have a well-defined and reproducible pore size with a 100% open porous structure. 3D Insert™ scaffolds are manufactured by 3D Biotek, LLC. 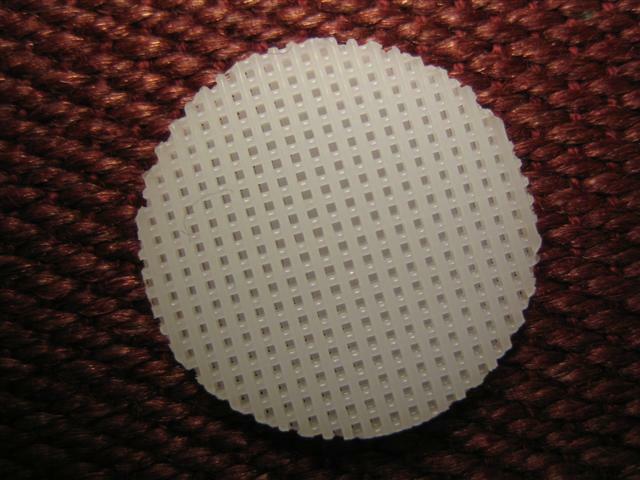 Each 3D Insert™ PCL scaffold is a disk of 5 mm diameter and 1.5 mm in height. Four scaffolds are loaded into each 3DKUBE™ chamber. Scaffolds are made from polycaprolactone, a biodegradable, biocompatible polymer. Scaffolds are microfabricated and have a well-defined and reproducible pore size with a 100% open porous structure. 3D Insert™ scaffolds have been selected as standard 3D tissue culture scaffolds by the National Institute of Standards and Technology (NIST) and are manufactured by 3D Biotek, LLC. KIYATEC 3DKUBE™ is a small scale dynamic 3D cell culture device that closely mimics in vivo conditions. It consists of two chambers that can be configured to meet various specific experimental needs. 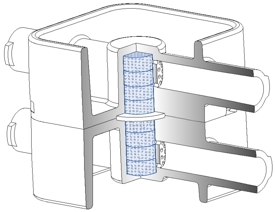 For example, the 3D chambers can be configured as 2 independent chambers through the use of a solid separating gasket for conducting cell cultures under different experimental conditions. In addition, the 3D chambers can be connected using a permeable gasket-membrane for conducting complex 3D co-cultures. 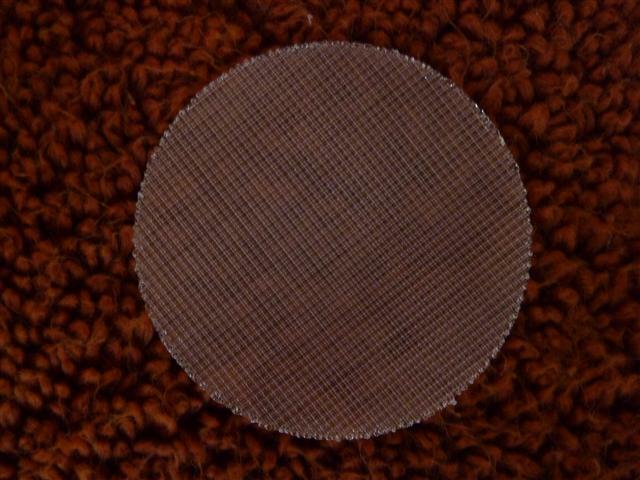 Each 3D culture chamber is 6 mm in diameter, 12 mm in height, and 250 µL in volume. 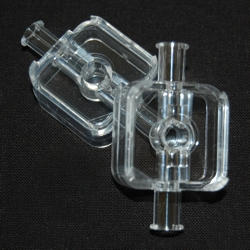 Up to 4 pieces of 3D Insert™ scaffolds can be used in each 3DKUBE™ chamber.